Wally is a mini loop station which can record up to 15 minutes of loop phrases in one storable memory. It also has separate input/output level controls and a tempo variation function. 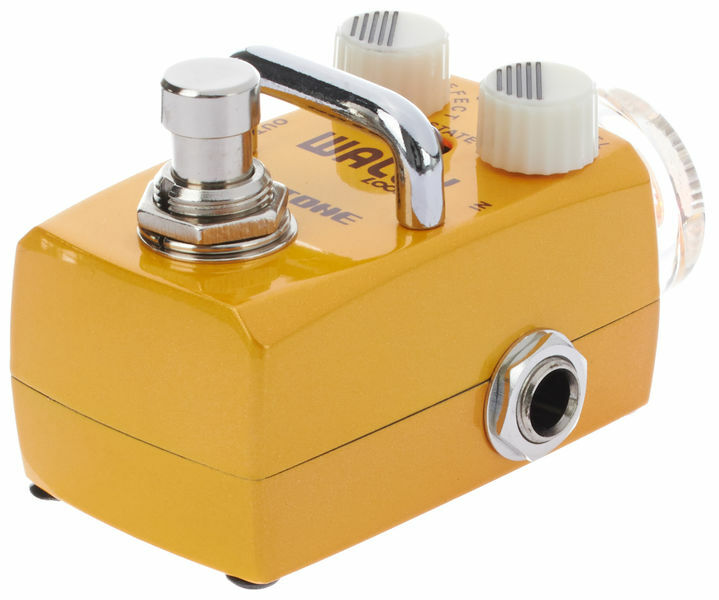 So smart and simple, this little guy gives other loopers an inferiority complex. Most of us don’t need a big looper rig. But we’re also not so dense that we’d sacrifice loop functionality for one-button simplicity. Wally gives you the looping tricks you need in an extremely small and cool looking droid, and you can figure it out with a 30 second scan over the manual! With the smart LED lights letting you know what mode you’re in, you’re ready to go. 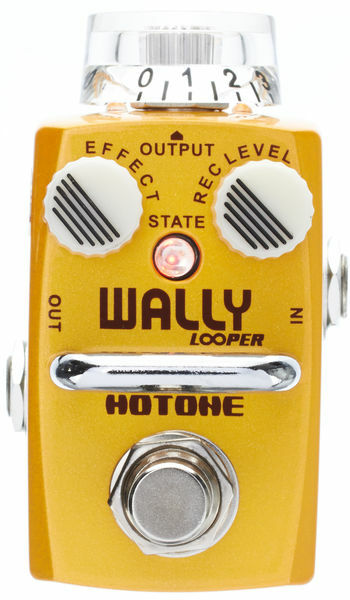 Wally rises above the other compact loopers by making up for their functional deficiencies. We designed Wally to include independent in/out volume controls—after all, you can’t get the loop and recording levels sounding right with just one knob. So loop away, you got fifteen minutes of storeable loop phrases! Then we added a knob so you can increase or decrease the loop tempo, which you can use to mix things up on stage. How did we get all that into the smallest looper stompbox out there? With a little intuition: we stacked the circuit boards and then squeezed them into a durable zinc-alloy casing. 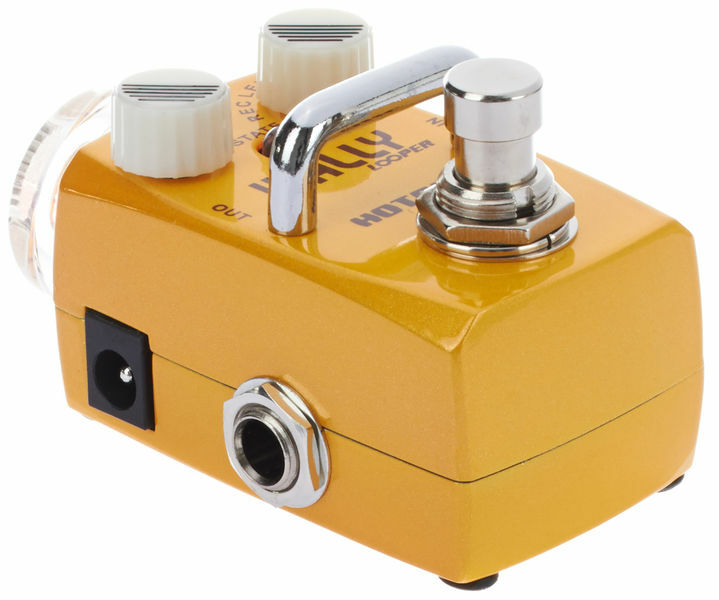 Why you need it: Every guitarist should have a looper at least for songwriting and phrase practice, if not also for layering it on for the big buildup on stage. Wally has all the right stuff in a smart box you definitely have space on your pedal board for.